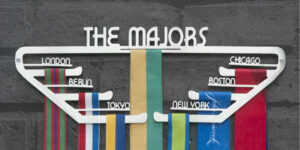 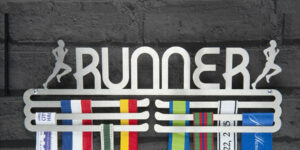 A magical medal display hanger to celebrate all of your Magical Miles. 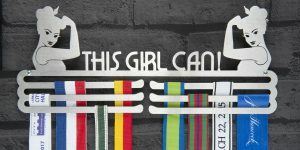 Your achievements are the stuff that dreams are made of and this medal hanger display is truly magical as it sprinkles a touch of pixie dust onto all of your race medals. 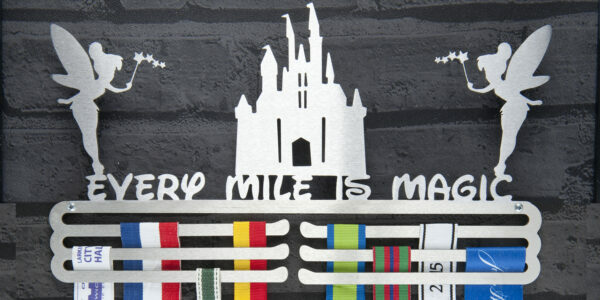 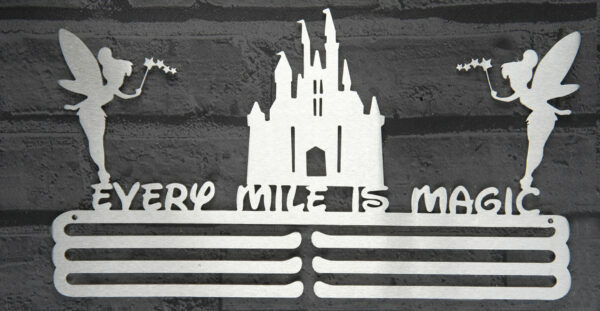 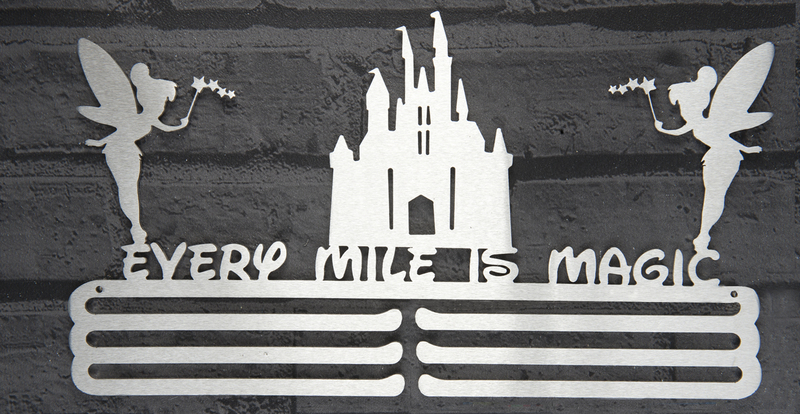 This medal holder will tell of your very own fairy tale of every magic mile that you have covered. It’s amazing what you can achieve with a pair of wings and running shoes, so let this medal display remind you that ‘Every Mile is Magic’. 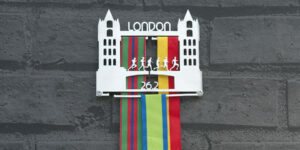 Made in & shipped from the UK. 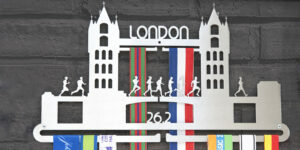 Made from laser cut brushed stainless steel. 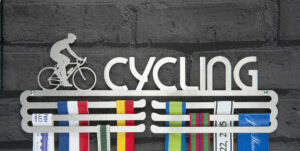 330 x 130 x 2mm. 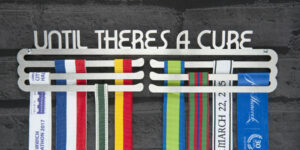 Holds 30-36 medals depending on ribbon width. 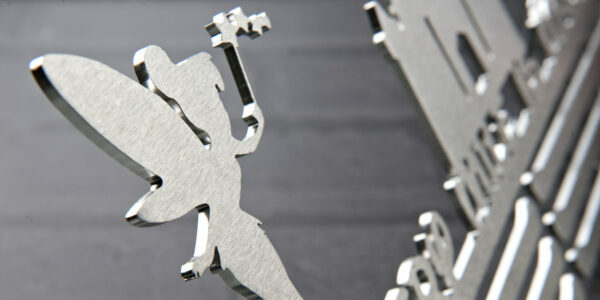 Supplied with installation instructions, nylon wall spacers, wall plugs and mounting screws. 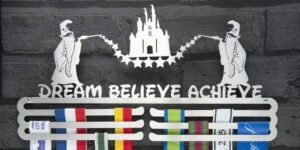 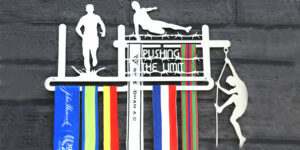 Ideal medal display gift for every athlete who believes in fairies!